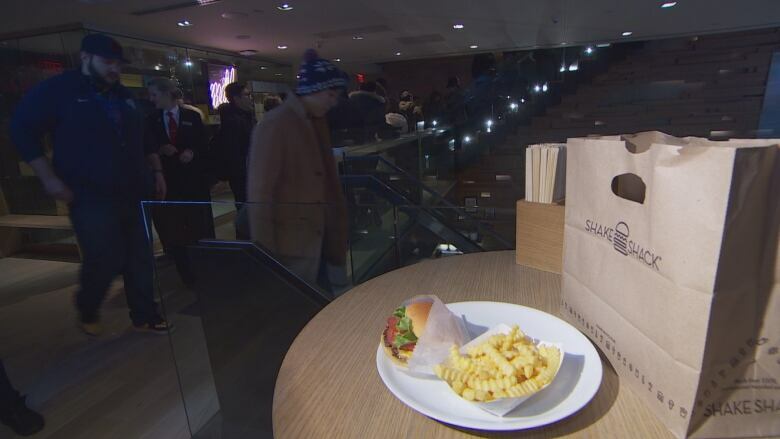 Torontonians will line up for just about anything — and there was certainly proof of that outside Toronto's Momofuku Daishō for the one day pop-up of U.S. fast-food chain Shake Shack. 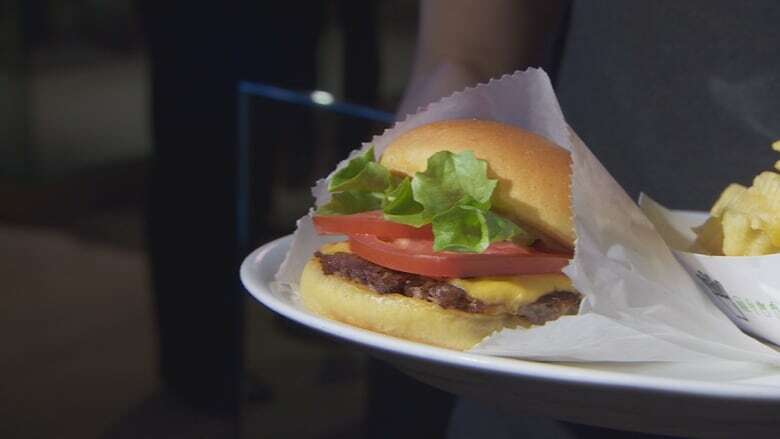 It's the first time the restaurant has brought its famous burgers and crinkle-cut fries to Canada. 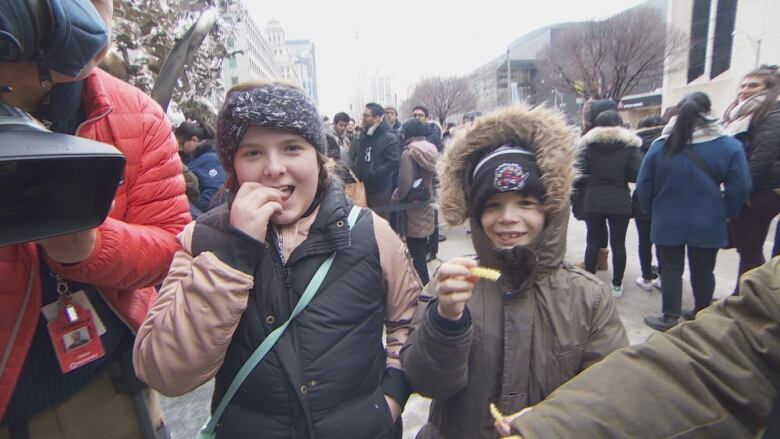 People lined up for several hours along University Avenue to pick up a meal. The shop is open between 12:30 pm and 6:30 pm. A dollar from every order today will also be donated to SickKids Foundation.